Bao Bao is located on SW 10th Avenue, between Alder and Washington, in downtown Portland, Oregon. 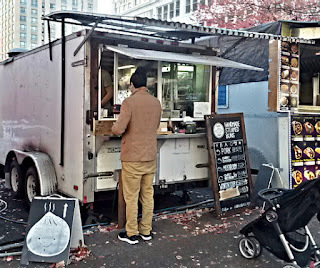 Bao Bao is part of the large block of Alder-Washington food carts. 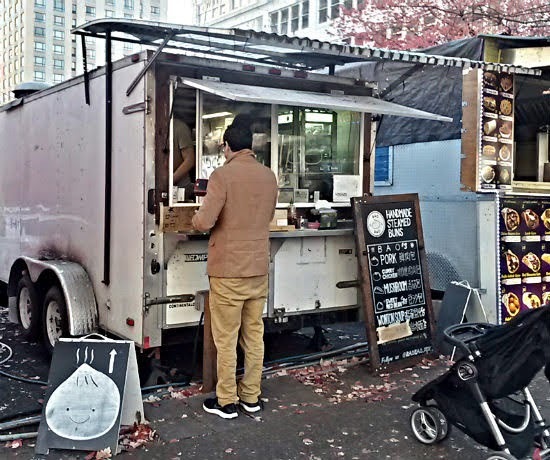 The quarter-block of food carts at 10th and Alder has been removed to make way for a high-rise construction project, but for now, there are still carts in the area. The couple running this cart met in China, where the husband taught English. 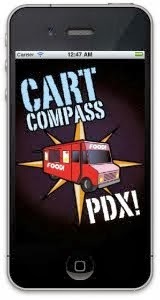 While there, they made bao, or steamed buns, and decided to open up a food cart in Portland. 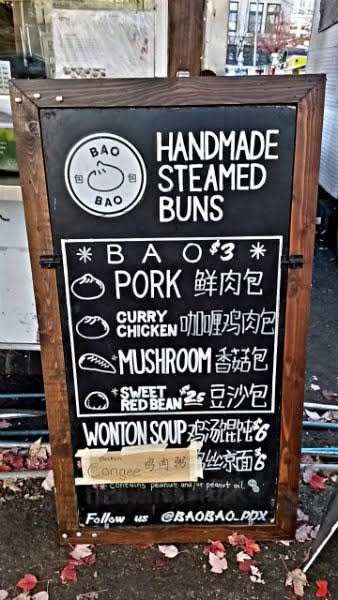 There are four bao options that run about $3 apiece. I'd say a normal snack for many people would be two buns, based on the size. At least during the winter months, congee, a rice porridge popular in East Asia, is also on the menu. I went with one pork bao and one chicken curry bao ($6 for two). A supply of buns are finished ahead of time and placed in a heated display case. Meanwhile, more buns are constantly being made in the back to avoid selling out during the lunch rush. 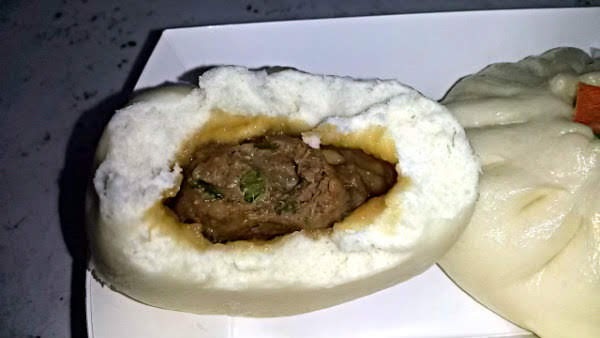 The pork bun was excellent, with juicy pork inside a warm, fluffy bun. It's not the red char siu pork that I would usually find in bao, but still delicious. 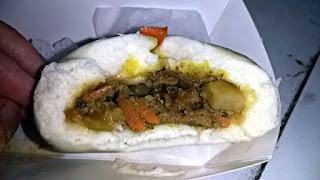 The warm pork juices flowed out of the bun and onto my hand, but no burns from that. 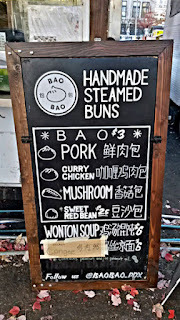 I also enjoyed the chicken curry bao, which appeared to be Japanese chicken curry inside. Chicken, potato, and carrot all in the bun. 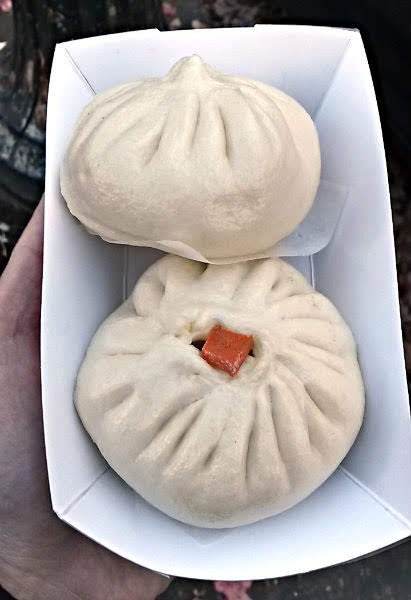 A small diced carrot was on the top of this bun so that you could tell which bun was which. Bao Bao is also a great cart because you'll get the food very quickly. I got my order in under 30 seconds. and I made sure I took longer than that to savor every bite. A side of me should have asked for some type of hot mustard or other spicy condiment to go with the bao. During some slower hours, they may give a $1 discount when buying more than one bun.